Ever fancied a coffee with some salt? 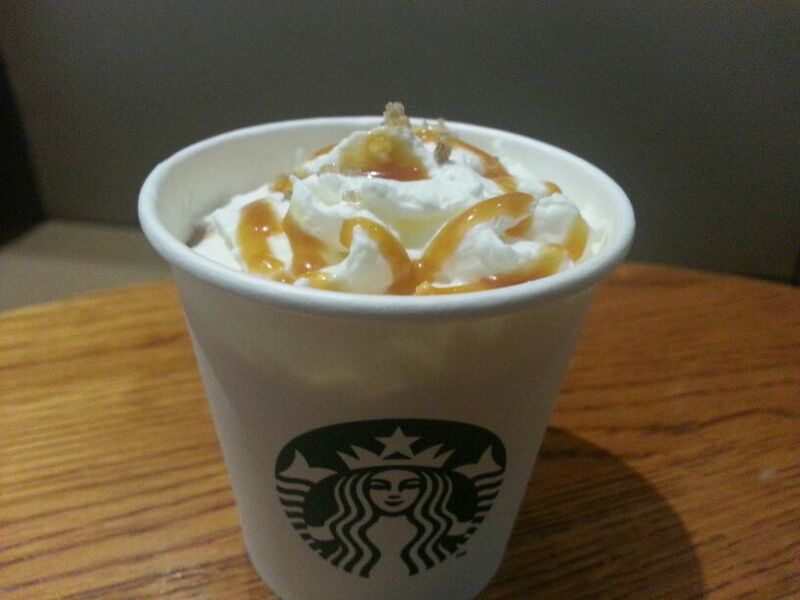 Well if you have, presenting to you the New Salted Caramel Mocha from Starbucks. Yes they’ve introduced this specially for the festive season. 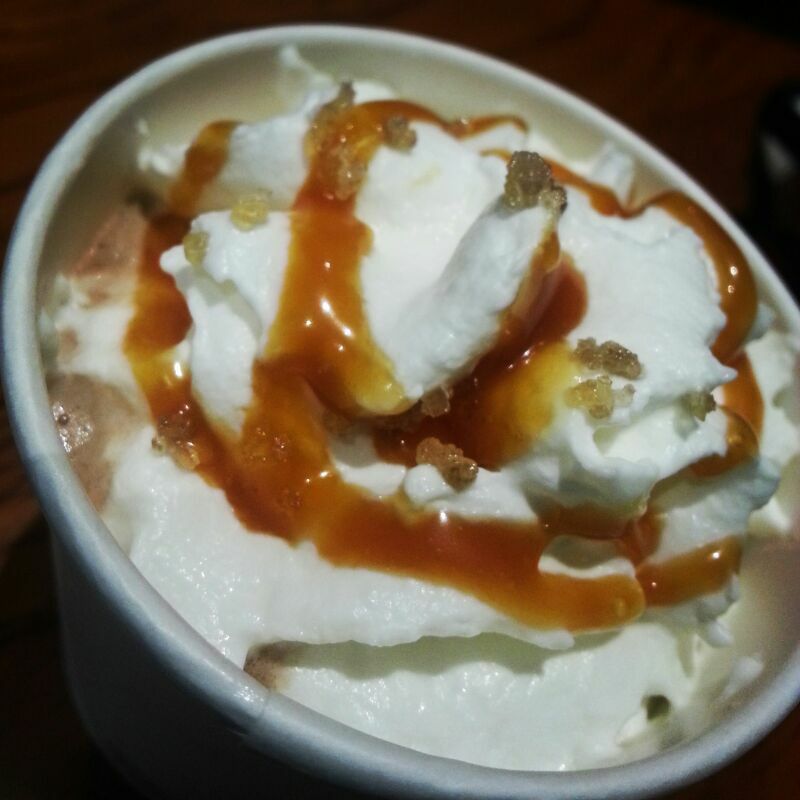 We were recently at the Oberoi Mall outlet, chilling after a Diwali party at our office, and were asked to taste the Salted Caramel Mocha. New Salted Caramel Mocha from Starbucks: Espresso and steamed milk, blended with mocha sauce and toffee nut flavored syrup. Topped with sweetened whipped cream, caramel drizzle and a mixture of turbinado sugar and sea salt. Unlike most Starbucks mochas, it’s pretty sweet thanks to all the other stuff that’s added. You can, of course, order it with less sweet stuff, but why would someone do that? You can obviously ask for less whipped cream, considering the fact that Starbucks likes adding a lot of whipped cream in all their drinks. We usually prefer less whipped cream. If you like chocolate and caramel, this drink is for you. Like any drink with caramel sauce, we recommend you stir it thoroughly before drinking. The caramel doesn’t dissolve well in milk, so if you want to get that delicious flavor well-integrated into your drink you’ll need to give it a little help. ← Auriga – The Devil That Dines And A Drink That Smokes!